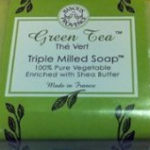 Bought both of the new soaps last week, camel and goat milk. Both have just enough suds, the skin feels very very soft. Camel milk not a success. Left me smelling like a stable. My cashier that day had bought the goat milk but made a comment about the smell of the camel milk. The bag packer said the camel milk smells like the French soap you sometimes find in markets. I suppose it depends on how sensitive a nose you have. Not obvious in the shower but clothes that day were also smelly. Perhaps because of the relatively low suds I did not rinse properly but not going to use again. Picked up a bar a week ago. Gave it a try, works great! I cycle about 35-miles every 2-3 days and this soap really cuts the sweat, oils, B.O. and general road grime. I even shampoo with it and it leaves no residue. For $2.00-a-bar you can’t loose. 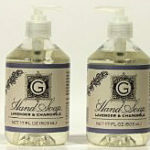 This soap is great! Can’t believe Trader Joe’s discontinued the product. So it didn’t smell like a bottle of perfume or contain 20 different chemicals. Isn’t that a positive? Bring this back, TJ’s! 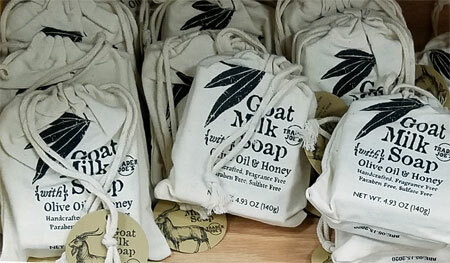 I love the Goat Milk Soap! I don’t use any of the expensive facial cleansers – just this soap, frankincense mist that I make and a really gentle face lotion. I get compliments on my skin all the time. So thankful TJs sells something that’s inexpensive and works so well. 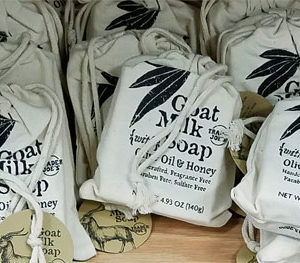 This is an awesome goat’s milk soap & I’m extremely disappointed that Trader Joe’s discontinued selling it. It’s great for those with sensitive, dry skin & I love that it didn’t have a scent. Please, please bring it back! !